It was an award 20 years in the making for the Colorado State University Bookstore and the Collegiate Retailer of the Year Award now proudly sits on their mantle. With ICBA and CAMEX on the horizon, many of you are already marking your calendars and choosing which sessions and programs you want to attend. Due to time and budget constraints, however, many may find trade show attendance to be the first things cut from their annual itinerary. If that describes you, RetialMinded thinks you should reconsider. We share their points here, but follow the link to see their full post. Welcome back to #CAMEXShow! We've got another great year of networking, demos and information that can all benefit your store. The following excerpt is from a blog post written by MBS Representative, Rob Heller. Check out his blog for more industry insight! Another CAMEX has come and gone. We had a great week in Salt Lake City and enjoyed seeing friends both old and new! After several packed training sessions, there was lots of positive feedback about our newest offerings including our mobile app, rental at the buyback counter, event pricing options, price comparison, and more! 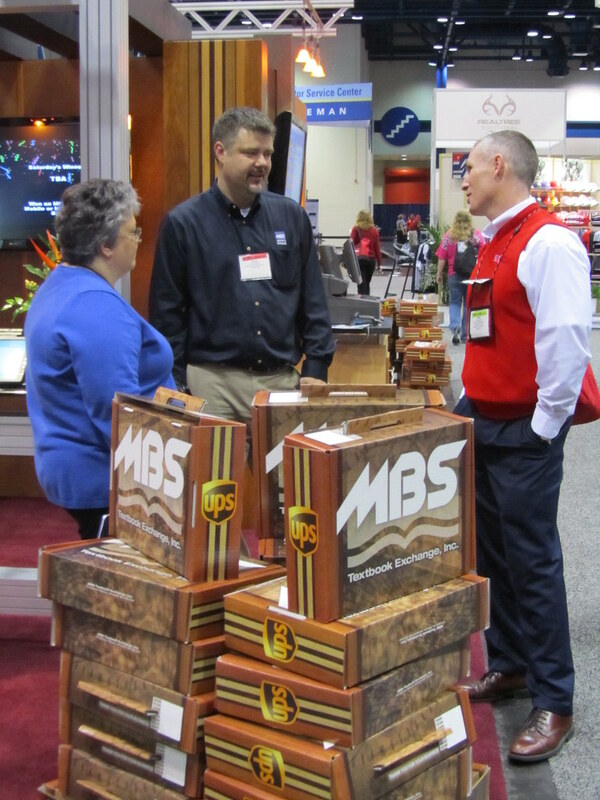 A special thanks to all those who attended or stopped by our booth - we enjoyed visiting with each of you! 'Bricks' Still Strong in a 'Clicks' World published in NACS' June 17 edition of the Campus Marketplace e-newsletter by Michael von Glahn, Editor of The College Store magazine, CAMEX attendees identified a list of both positive and negative issues affecting the collegiate retail industry. Expanding on these ideas, MBS brings you a week-long series addressing several of these concerns and providing solutions as to how your store can enhance key strengths, minimize weaknesses, take advantage of opportunities, and reposition possible threats.